Delicious cake with a fudge swirl. Who could resist? 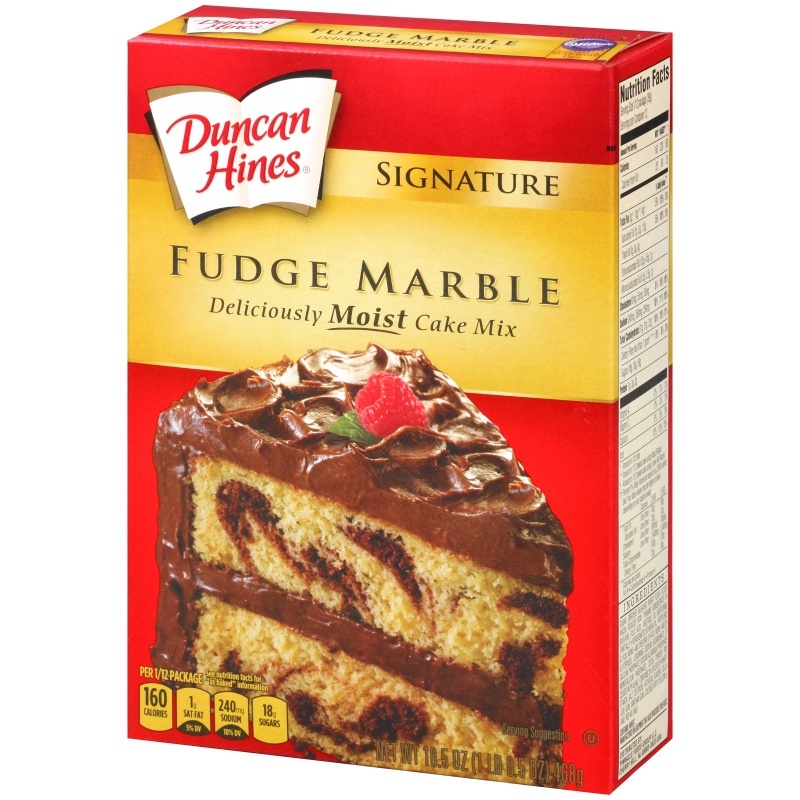 Duncan Hines Moist Deluxe Fudge Marble cake mix is a great choice when you can't decide what kind of cake you want. The base is a normal yellow cake mix and you swirl in the chocolate to make a swirl designed cake. It's pretty and it is delicious. The easy to follow directions make this a quick and easy cake to mix up, pop in the oven and wait for it to come out. 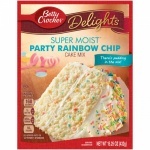 The only ingredients you will need to make this cake are 3 large eggs, 1 1/4 cup of water and 1/3 cup of vegetable oil. Sugar, Enriched Bleached Wheat Flour (Flour, Niacin, Reduced Iron, Thiamine Mononitrate, Riboflavin, Folic Acid)Fudge Marble Packet [Sugar, Cocoa Powder Processed with Alkali, Bleached Wheat Flour, Leavening (Sodium Bicarbonate, Monocalcium Phosphate)Vege Produced from genetically modified maize.